"Philadelphia-type weather, Baltimore weather, you get snow but it's still going to be 40 degrees," Floyd said earlier this week at the Vikings training complex in suburban Minneapolis. "Here? There can be no snow on the ground but it's still negative-13 [degrees], and you feel every bit of it." On the field, Floyd a University of Florida graduate and the first of Minnesota's three first-round picks in last April's NFL draft, is beginning to show promise. Last Sunday, in a snowstorm in Baltimore, Floyd played his most productive game as a pro. Taking 40 percent of the snaps, he made four tackles with two quarterback hurries in Minnesota's wild 29-26 loss. For the season, Floyd has 21/2 sacks and 61/2 tackles for losses after missing the final three preseason games following an August left-knee surgery. 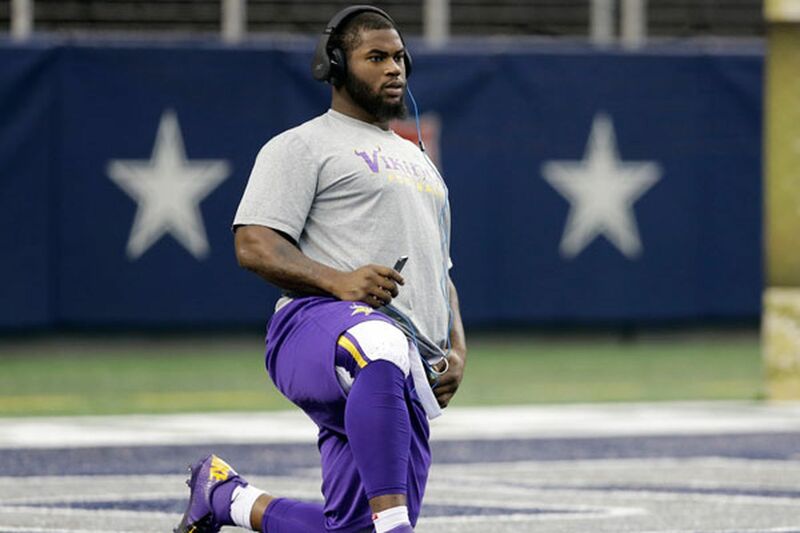 "His growth over the last two or three weeks has been exponential," said Vikings coach Leslie Frazier. "He's really, really come along. I'd just like to continue to see him grow game by game as we go down these final three regular-season games. In the classroom, at practice, he's become a student of the game in a lot of ways." The Vikings rotate defensive linemen, so Floyd plays about every third series. That helped Floyd catch up after his surgery. "It hurt him a little bit, but we still think he's ahead of the curve as far as a normal rookie," defensive coordinator Alan Williams said. "Even though he's mature beyond his years, experience helps. In our minds, that's the best teacher." With some of his $4,254,600 signing bonus, Floyd fulfilled a promise to the great-grandmother who helped raise him in North Philadelphia, Lucille Ryans, by buying her a house in Atlanta. "She's around a bunch of family members that I don't know, but she's enjoying it," he said. Ryans will not be at the game Sunday - too cold for her, Floyd said - but Floyd expects a dozen or so friends and relatives. Some draft boards rated Floyd a possible top-five pick before he fell to the Vikings at No. 23. The Eagles, at No. 4, worked him out before choosing offensive tackle Lane Johnson of Oklahoma. Floyd said he didn't care because he never rooted for the Eagles or any other NFL team. He claimed he never watched an Eagles game in person or on television. "That's their problem, not mine," he said. "I'm part of a great program. Now I've just got to do what I've got to do. That's all. "I'm from Philly, but I'm not a Philadelphia Eagles fan - probably one in a million. It's just going to be a normal game for me. I wish it was in Philly. I'd probably get another chance to play in the snow. But it's a great opportunity, playing against the hometown [team]."